Having recently got our hands on another ProForm elliptical after a long period of not checking one out, we were really impressed with it. So impressed in fact that we felt it worth seeing what they had to offer at the entry level price point. 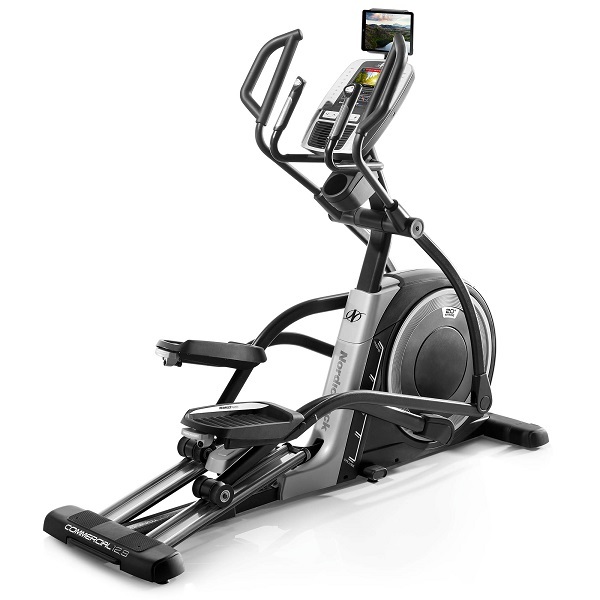 So we got in the ProForm 450 LE Elliptical to take a closer a look. Here’s what we found….. Assembly is pretty much standard for an elliptical though ProForm have worked hard on their manuals making the instructions easy enough to follow. With a helper and a bit of patience, most will have this machine assembled in about an hour. Just do be aware that it takes about 15 minutes just to get it out of the packaging so make sure you add that to your planned assembly time. It’s pretty clear that ProForm have prioritised function over form and in truth that’s no bad thing when it comes to fitness equipment. It’s functional and looks like a machine built for a purpose. 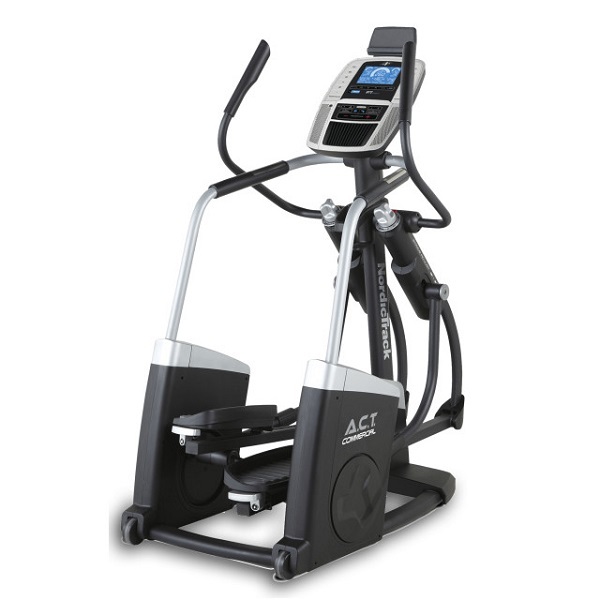 Given ProForm’s considerable experience in building ellipticals and the price point we weren’t too concerned about its looks. Looking at the console, the 450 LE does have an impressive range of features including iFit compatibility that lets you add more programmes and training options with a personal trainer feel to them. While this is something we’ve come to expect from them, to see this level of functionality on a sub £400 cross trainer is, it must be said, impressive. Not only does the console have a lot of functionality for something at this price point, this is also a well-built machine with a very smooth action. 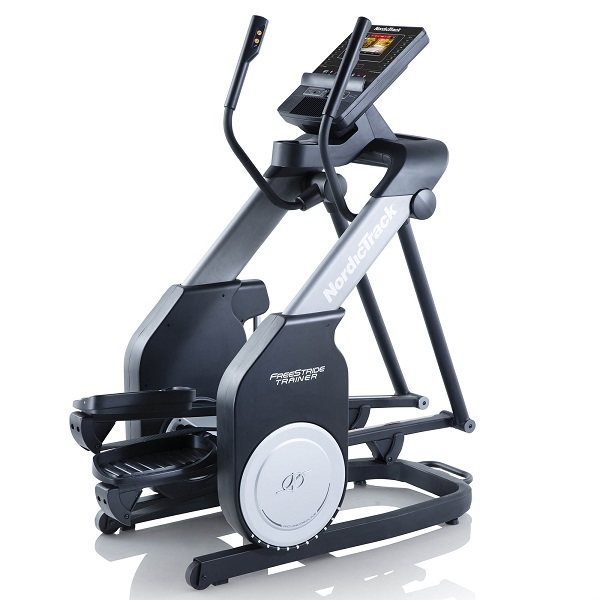 The 450 LE is a rear loaded cross trainer with a 6kg (13.2lbs) flywheel giving it a smooth slick jogging action and its long 18″ stride length means it’s a good option for most people’s heights. Usually, we’d be sceptical about a flywheel this light but the 450 LE is smooth and consistent all the way through the entire cycle. We’re not sure how they’ve done this but ProForm have clearly used all their know-how to create an elliptical that feels really slick despite what looks on paper like a light spec. 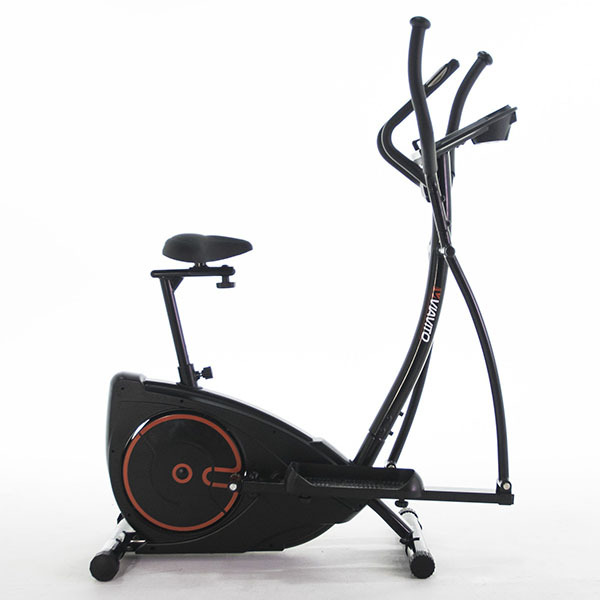 It is not just these features that make the ProForm 450 LE an excellent cross trainer but also the little finer details: for example, the console has a built-in fan to keep you cool while working out and the pedals are oversized and, in our opinion, are some of the most comfortable of this type at this price point that we have come across. 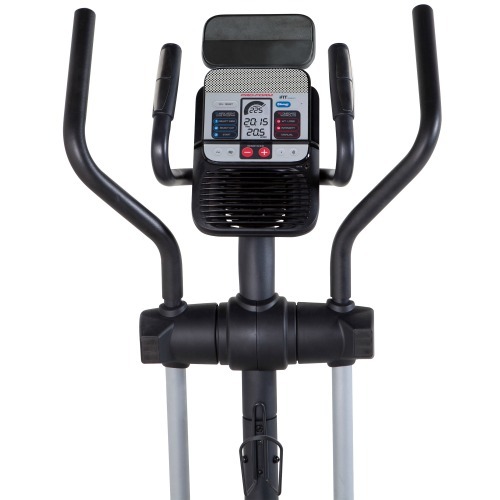 This elliptical has all the features we’ve come to expect from its predecessors (the 695, 795 and 895) like the easy to use folding mechanism but improves on previous models by increasing the number of workouts substantially. There are 18 preset workouts plus an on board 8 week weight loss programme borrowed from iFit which gives you a glimpse of some of the things you’ll find in iFit. Speaking of iFit the 450 LE is iFit Bluetooth Smart enabled so while you need to buy a subscription to iFit to use it, you don’t need to spend even more on an iFit module like you used to have to on older models. This is a very welcome change that makes use of the latest tech to make the whole offering slicker and more cost effective. 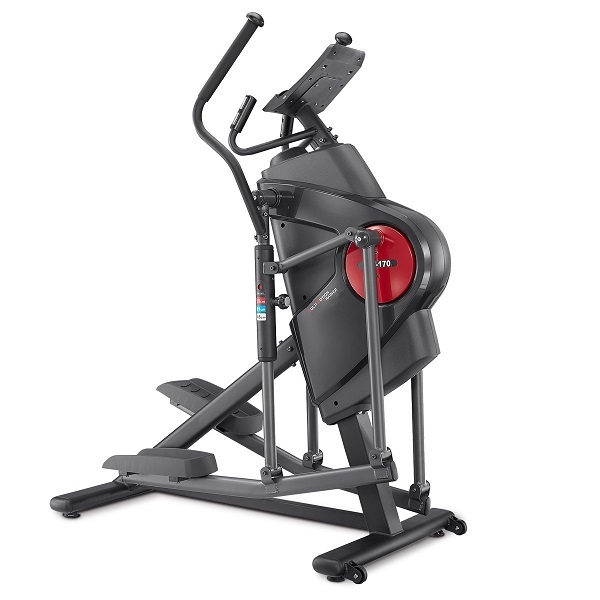 The 450 LE feels right from when you first step on it and delivers a comfortable and challenging workout. This elliptical has definitely seen additional input during the design phase. Some of its features stand out from the start, like the extra comfortable pedals, but others take a little more time to see and appreciate, like the tablet holder on the console and the one touch console system allowing you to move easily between resistance levels and programmes. 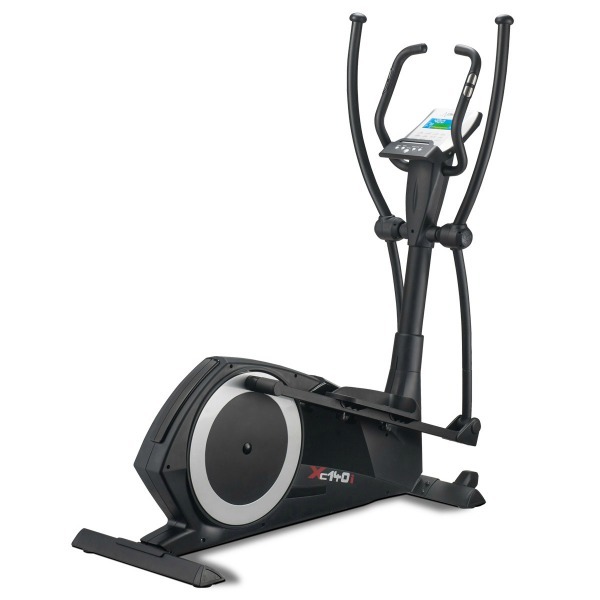 When you put this all together with the quality of a ProForm elliptical, you’d expect this cross trainer to be priced well above this price point. It’s another example of ProForm seemingly on a mission to offer more than anyone else no matter the budget. 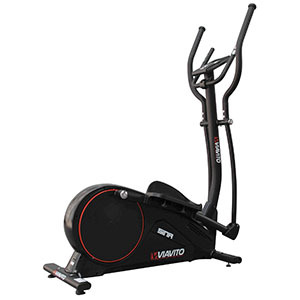 This is a very good elliptical with lots of features and a smooth and quiet action that when combined with the ability to store it out of the way easily makes it an extremely attractive option and one well worth considering. 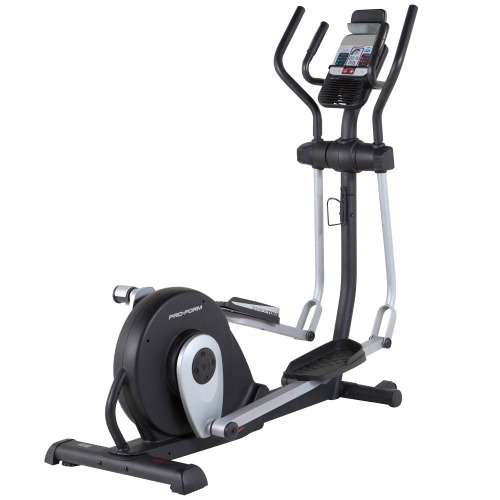 To get the ProForm 450 LE Elliptical Cross Trainer for only £399.00, enter voucher code PF450 on the Sweatband.com basket page! 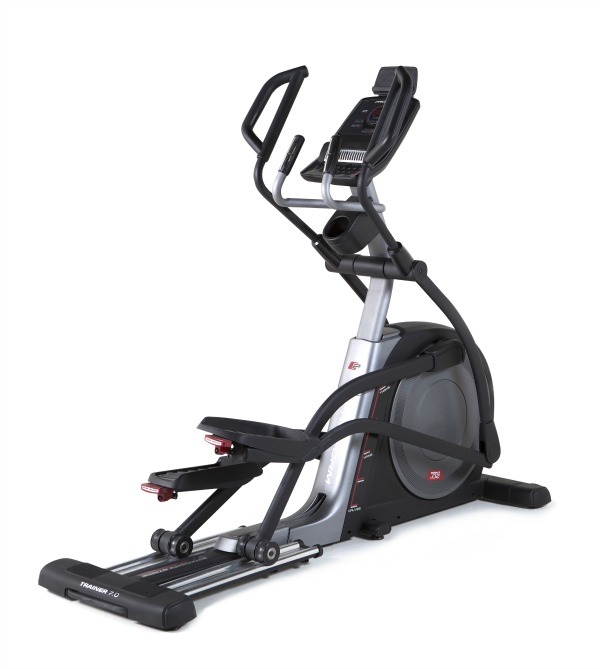 An elliptical with an 18" stride and a compact footprint in this price bracket? We couldn't believe it either. But it's true and it's called the ProForm 450 LE. Plus with iFit compatibility, plenty of functionality on the console, a folding system and smooth motion to boot, it gets a big yes from us!